An enumeration, or count, of people experiencing absolute homelessness: It is intended to identify how many people in a community experience homelessness in shelters and on the streets at a given time. Conducted over subsequent years, PiT counts can be used by the community to track progress in reducing homelessness. A survey of the homeless population: Through an accompanying survey, the PiT count gives the community information on the demographics and service needs of their homeless population. This information can be used to target community resources to where they are most needed. National efforts, such as routine homelessness counts, play an important role not only in identifying the depth of the problem and exploding myths, but also in assessing the impact of programs and policies put in place to address homelessness in our communities. 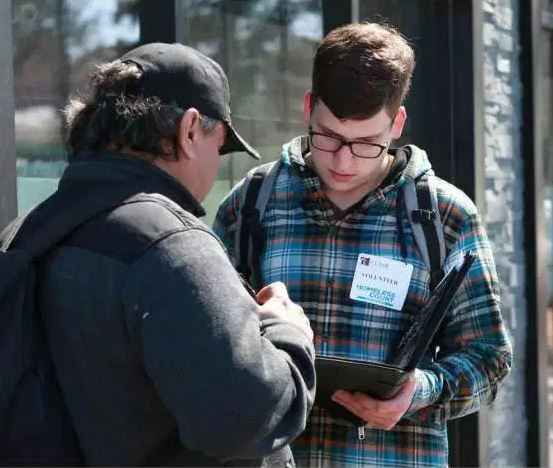 The pan-Canadian Homelessness Partnering Strategy (HPS) (Employment and Social Development Canada, 2014) is in place to support community-specific initiatives to respond to local housing needs. With prioritized funding, the HPS recognizes the complexity of homelessness, and works to develop local partnerships and innovative strategies toward solutions to the affordable housing crisis.